I understand from a fellow that grew up in Rougemont that the Carvers died in the house fire that destroyed this house. The story is that they were broken into and robbed and the house burned up afterwards....sounds like a possible murder mystery??? He said not much was said afterwards but that everyone seemed to know who the two guys were that did the deed!!! The pictures of the house saying it faced the East is incorrect. The front entrance to the house faced the railroad which is West. 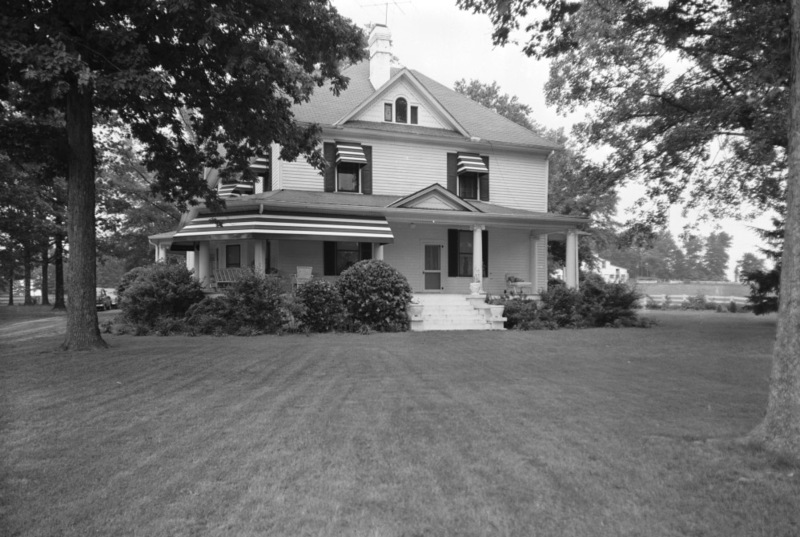 The last picture shows the south end of the house. I was the last person to see Mr.Carver, other than the person or persons who murdered him and his wife. I stayed with him at the store he owned until he left to go home. I was at home when the house was set on fire and was told about the fire when my son came home from a friends home. I worked as a rural mail carrier under Mr. Carver and ran a laundry and car wash at the store for Mr. Carver, so I know the whole story about the murder,etc. 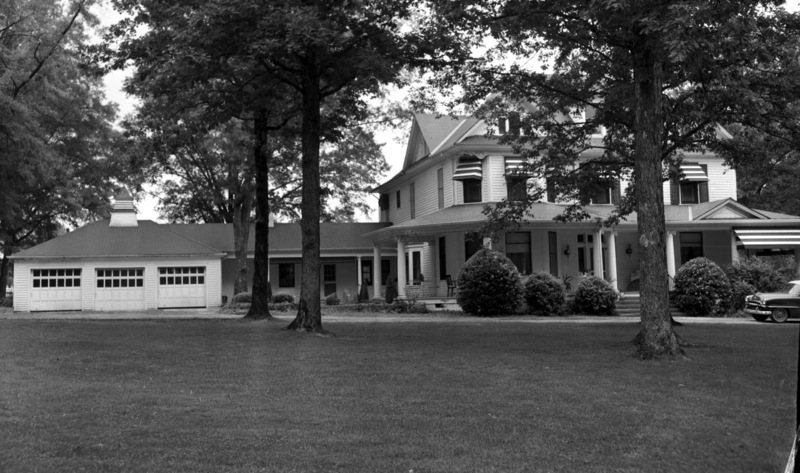 The "facing east" refers to the direction the photographer was facing, not the house. As you note, the house faced west. Oh---This is so sad. I didn't know that any Carver family was murdered. My father Leroy Abb Carver was born in Durham to Royall Smith and Elsie King Beavers Carver.---Dad was the grandson of William Abner Carver. Royall Smith, my Grandfather did work with a Mr. "Young" in the 20's because it is on my father's birth certificate. Dad was told that the saw mill business failed in Durham because of several fires destroying the mill. My Grandfather Royall Smith Carver left Durham and relocated to Wilmar NC to live with his brother-in-law for a time and finally settled in Washington NC on the Pamlico river. Father and son Royal Smith and Leroy, after Dad returned from the WWII Pacific Theater, together started a very successful dredging business, small engine repair and marina. My grandmother Elsie ran her own sandwich shoppe and gas station.;.. Was it Hosea Lee Carver and Emma Moore who died in this house? If not, what were the Carver's first names? Natasha- Doing a quick search, it looks like it was Flora Iva Jennett Carver and her husband Marvin Jefferson Carver, Sr. who died in the fire. Hosea was his father. This is my great grandparent's house through my mom's side of the family. She is the youngest of Marvin Jefferson Carver Jr's 4 children. Yes they were tragically murdered in the house fire that was set after the robbery. We have the pictures of the house shown above, as well some others. I was always fond of the stories my mother told about growing up there, and it breaks my heart that I was never able to experience it. Their son, my grandfather, Marvin Jefferson Carver Jr passed away Thanksgiving 2012. Finally with his parents once more. I remember that fire. I was about 7 or 8 years old then. I lived on the corner of Red Valley Dr. and Red Mt. Rd. next to the Chambers old house. I'm surprised that the case wasn't ever aired on Unsolved Mysteries or something seeing how no one was charged. BTW, who did the neighborhood think did the murders?